Hydrofloor are not only experts in hydronic floor heating for residential and commercial office projects, but in specialised industrial cool room and freezer applications. The Hydrofloor team are backed by design engineers such as Rehau’s Brigitte Xu, second right. 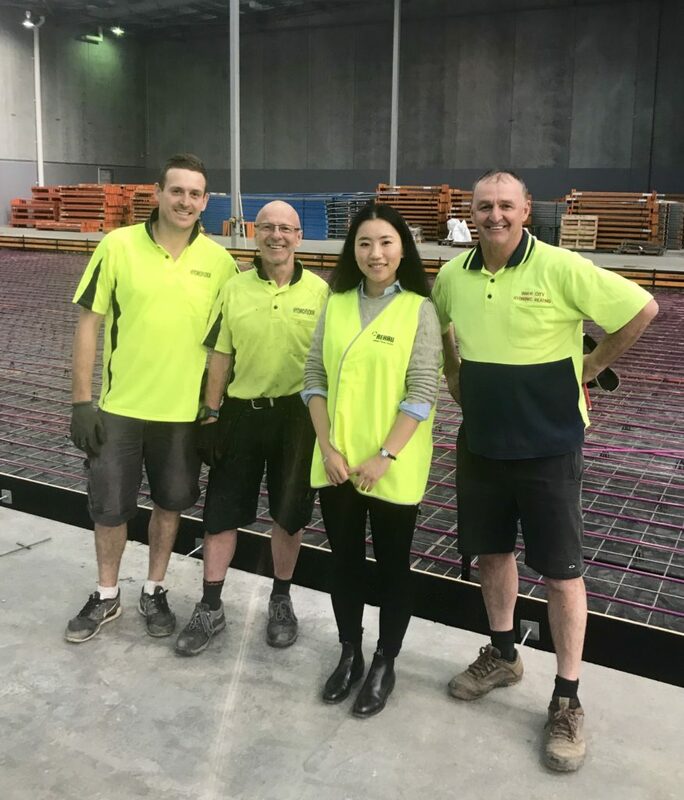 With 2018 now behind us, Hydrofloor can reflect on the many cool room projects successfully completed in partnership with some of Australia’s leading builders, designers and engineers such as the Lederer Group, Gordon Brothers Industries and Camphin Developments. 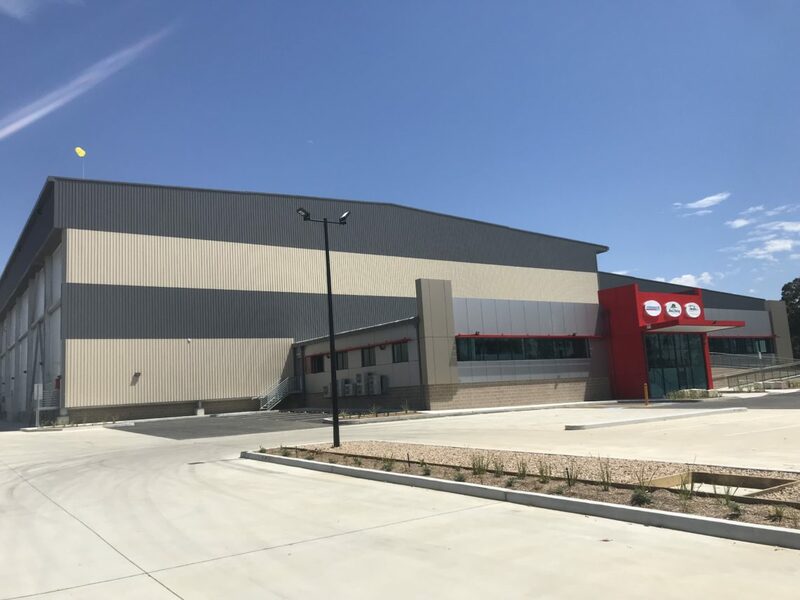 Large-scale warehouses that not only required efficiency and value, but the highest level of knowledge and expertise in all things hydronic. Hydrofloor has recently completed cool room and freezer applications across Brisbane, Sydney and Melbourne, installing hydronic glycol systems of varying sizes with the backing of a team of engineers who can fully design pipe layouts to suit any area and any desired heat output. 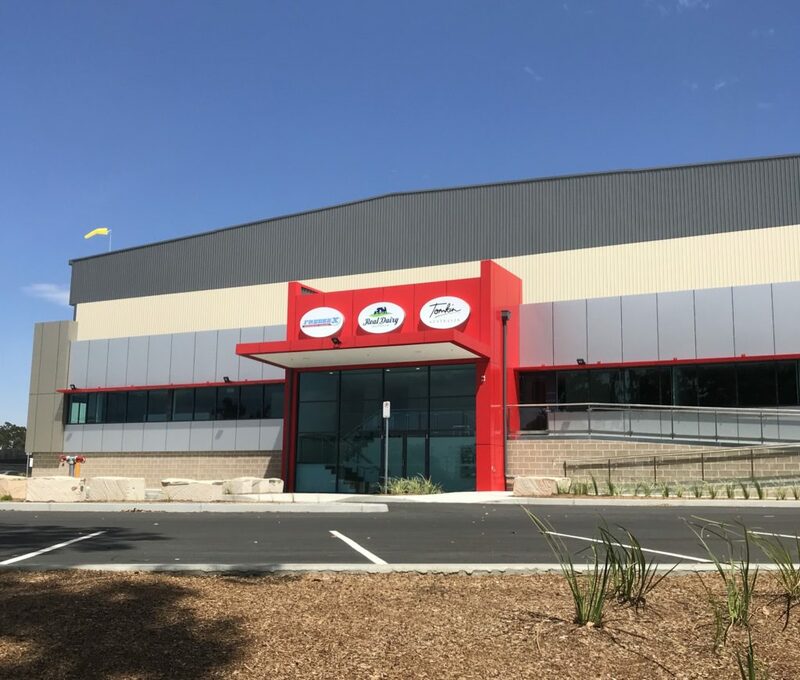 The Lederer Group’s Greenacre facility in western Sydney houses Real Dairy, Freeze X Refrigerated Transport and Tomkin Australia.